Roman Korolchuk joined Summit in the Spring of 2018. Prior to joining Summit, Roman worked in patient care at the Ohio State Medical Center. 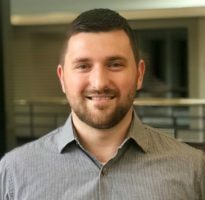 Roman graduated from The Ohio State University in the Fall of 2017 with a Bachelor of Science degree in Consumer and Family Financial Services. Roman was born in Ukraine, raised in Upstate New York, and currently resides in Columbus, Ohio with his wife Ruslana. In his spare time, Roman enjoys biking trails, hiking, reading, and agriculture.